Saturday, June 13, 6 p.m. - 1 a.m.
WE'RE BACK!! 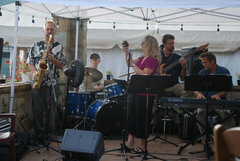 Jazz & Blues bands invade downtown Erie for a night of revelry, great music and fun. Seven downtown venues. Free reception, snacks and beer. at the Erie Art Museum starting at 6:30 p.m. Your $10 donation for a Jazz & Blues Walk bracelet supports JazzErie's activities year 'round, and assures you free admission to all Jazz & Blues Walk events. Co-sponsored by the Erie Art Museum and PA Council on the Arts, the project also receives support from Erie Arts & Culture, Romolo Chocolates, Wegman's, McDonald Illig, Glenwood Beer, U Frame It, M Cafe, Bed, Bath & Beyond, Calamari's, Littel Ceasar's, UBS, RBC Wealth Management, MAK Design and BrewErie. 6 - 8 p.m. The Erie Art Museum, featuring The Mark DeWalt Quartet. East 5th Street between State & French. Starting out the festivities, this quartet led by keyboardist Mark DeWalt is comprised of some of the most talented and versatile performers in the region. Members of the group have appeared at venues across the country, from the Kennedy Center in Washington, D.C. to Disneyland, in Anaheim, CA.. as well as in South Africa and Montreux, Switzerland. As Catro, they have performed in the Western PA region during the last two years. Band members are Mark DeWalt -- keyboards, Patrick Crossley -- bass, Steve McMurray - drums, and saxophonist TBA. 8 - 11 p.m. The Plymouth Tavern, featuring The Duke Sherman Blues Band. 1109 State St.
Well known in Erie and winners of RockErie's "Erie's Favorite Blues Band" awards in 2009 & 2010, individual members of the band have also won "Erie's Favorite Essential Player" awards in 2007, 2008 and 2010. 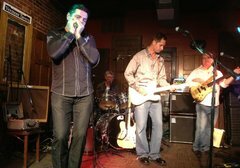 Band members are Duke Sherman -- guitar & lead vocals, Otis James -- harmonica, Sam Hyman -- drum throne warmer, and Mark Murphy -- bass and backing vocals. 9 - 12 midnight Erie Ale House, featuring Charles Ventrello with Katie Chriest. 1033 State St.
Ventrello has been a fixture on the Erie jazz scene for over 30 years, both as a leader ("Sack O' Bones", with his own trios and quartets, and in earlier years with a variety of bands led by "Hawk" Amandela and others. Chriest, along with the two bandmates featured here, has appeared in the populat Heliotropes bands throughout the region. Band members: Ventrello -- saxophones & flute, Chriest -- vocals & guitar, Sheldon Peterson -- guitar & Backup vocals, Dave Blaetz -- bass. 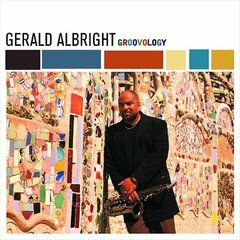 8:30 - 11 p.m.PACA 1505 State, featuring Groovology with Gerald Albright. Says All About Jazz, in reviewing Groovology's most recent album, "Chuck full of passionate, fresh tracks and hooks that grab the listener and don't let go, Groovology delivers on every level." Albright has been a top flight sideman on R&B, contemporary and straight ahead jazz albums since the 1980's. He has worked with Patrice Rushen, Anita Baker, Lola Falana, Les McCann, Qujincy Jones, Whitney Houston and many others. He fronted a big band in 1998, touring and recording. He has participated in a number of Grammy-nominated projects, including Groovology, and a #1 Billboard contemporary album. Albright began the Groovology project over 10 years ago. 9 p.m. - 12 midnight. BrewErie at Union Station -- Lydia Marks Quartet. 123 W. 14th St.
Marks, with bassist Harry Jacobson, penned and produced the album Lovelight Shining which includes the original, title tune below. Great singer, great band. Great show. 9 p.m. - 12 midnight Gigliotti's Restaurant -- Monks Brew. 1325 State St.
Below is a sample of the work of this young pop/jazz Mercyhurst-based group. Erie's next generation of musicians. 9 p.m. - 12 midnight Calamari's brings you The Blues Beaters. 1317 State St.
Another award-winning Erie blues band, featuring Jimmy Cuneo, Antroine Jack, Dean Gleason, Dr. Sax, Henry T & others. 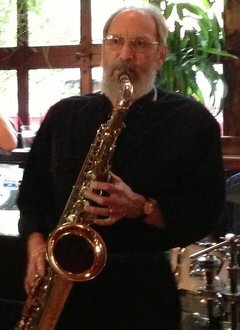 10 p.m. - 1 a.m. Scotty's Cigars & Jazz, E. 3rd St. & German, featuring Steve Trohoske. Electric bassist Steve Trohoske is well known in the Erie region both for his excellent chops and his broad, imaginatiive pallette of ideas. He always assembles an excellent collection of musicians for JazzErie's Jazz Walk. One of Trohoske's groups, Abimsa Beat, is featured in the clip below. COME ENJOY ONE OF ERIE'S PREMIER JAZZ EVENTS! !